You can imagine our excitement when we meet a family that has had many generations attend KES. 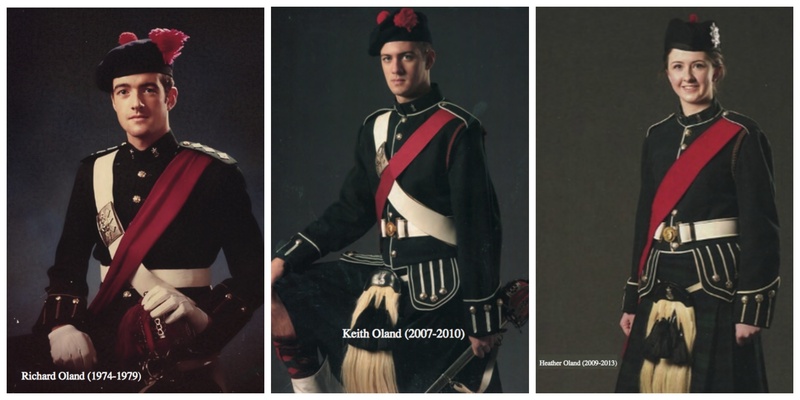 One such family is the Oland family whose rich history with our School extends back to 1895 when John Culverwell Oland, Jr. attended KCS and his sister, Sadie, attended Edgehill. At the outbreak of the Boer War, in 1899, John was one of the first to volunteer for service in South Africa. This respect for the military is a longstanding tradition with the Oland family that continues to this day. John and Sadie were followed by Bruce Oland in 1928. Bruce served in the Canadian Artillery before and during WWII, and with the Naval Reserve after the war, retiring as Commodore in 1971. 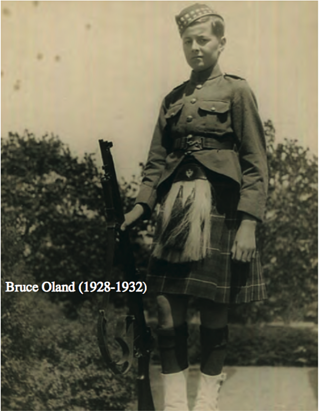 Bruce's brother, Don Oland, served in WWII as a CAN- LOAN Officer with the Royal Warwickshire Regiment. He lost his leg just prior to the wars' end. Bruce spent his working life at Keith's and Oland Breweries, retiring as President in 1976. In 2006, Bruce was invested into the Order of Canada in recognition of his contributions to the Canadian Armed Forces, Nova Scotia industry, and to many charitable causes. Bruce wasn't the only Oland to attend KCS in the 1930s. 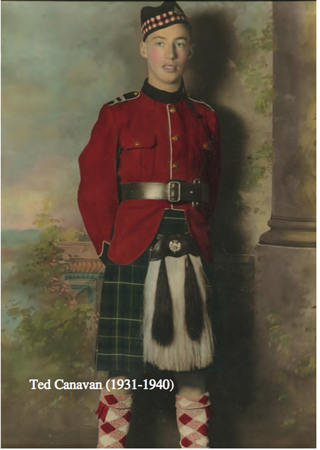 His cousin, Ted Canavan, attended from 1931-40. After graduation, Ted enlisted in the army and landed in France six weeks after D- Day. On October 23rd, near the Dutch-Belgium border, Ted's courage and leadership under heavy fire won him the Military Cross. Ted spent six weeks in a POW camp before being liberated on VE Day. After the war, he trained as an engineer and worked for several aerospace companies in Los Angeles. You may recognize Ted's name from our Athletic Centre which is named for the generous gifts that Ted made to our School. The next Oland generation to attend the School included Bruce's brother Don's children Jamie Oland (1964-70), Brenda (Oland) Huntley (Edgehill 1971-72); Bruce's twin sister Amadita Stanbury's children Bruce (staff 1964-66), Christopher (1961-64); and Bruce's son, Richard Oland (1974-79). Richard followed the family tradition of serving his country in the Canadian military commanding HMCS Goose Bay and HMCS Scotian, and retiring as the Regional Advisor Atlantic Region to the Commander Naval Reserve. Richard is current Chair of the Board of Governors, NS Division Canadian Corps of Commissionaires which was founded by his grandfather Colonel Sidney C. Oland in 1937 and later chaired by Bruce Oland. Richard remains engaged with King's-Edgehill School having served on the KES Board of Governors for over 17 years. In a quest to support the School and its students, Richard and his father, Bruce, established the Bruce Oland & Richard Oland Scholarship recognising a Nova Scotian student who demonstrates outstanding leadership and academic potential. The next generation of Olands to attend the School included two of Richard's children, Keith (2007-10) and Heather (2009-13). Keith graduated from Saint Mary's University with a Commerce Degree and is currently teaching in Asia. Heather attended Dalhousie University and is now in her first year of Medical School at Dalhousie University. Now, the question must be asked. Can we look forward to a fifth generation of Olands at King's-Edgehill School? We certainly hope so. Our students – past and present – make King’s-Edgehill School great. 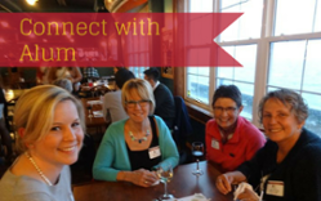 We’d love to stay in touch with you, and ensure you stay in touch with each other. Have a look at all the benefits of staying connected here.